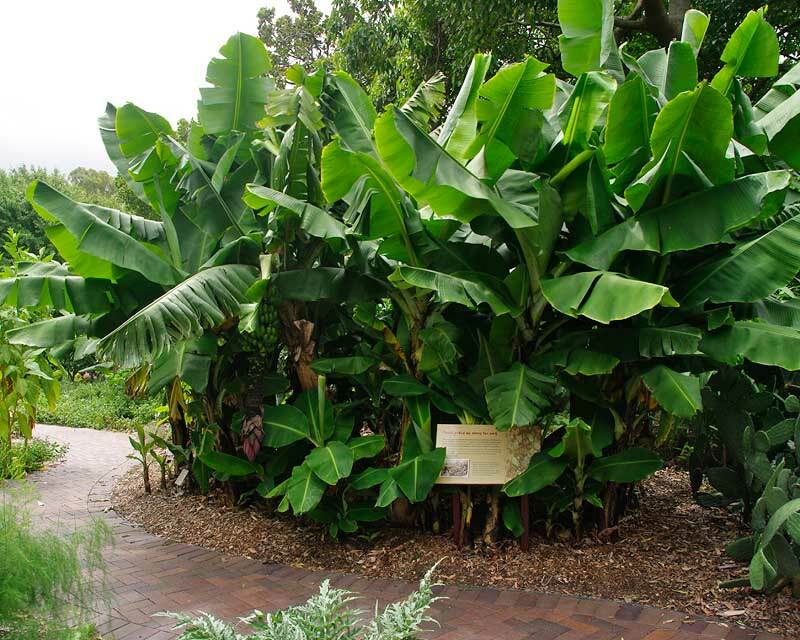 Musa acuminata or the common Banana is an evergreen soft wooded perennial that grows from rhizomes. 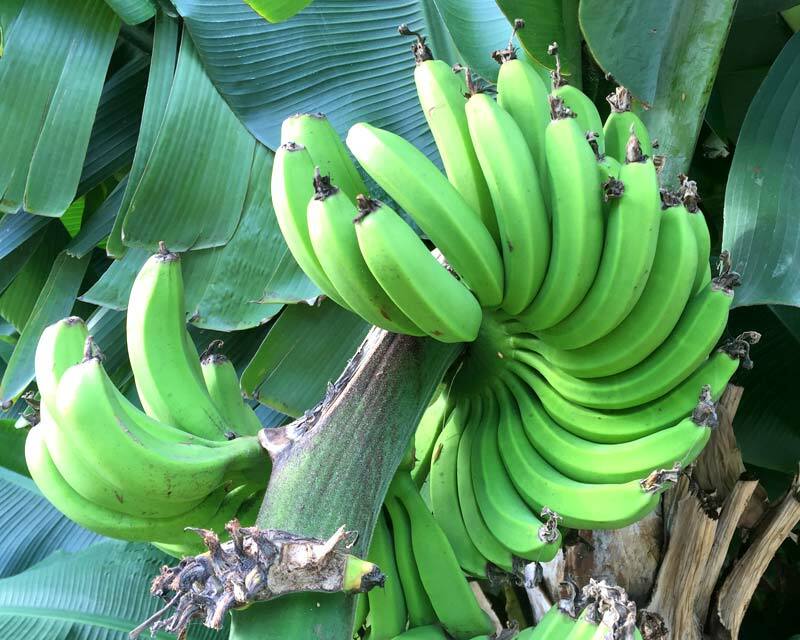 Bananas have pseudo-stems formed of rolled leaves that open as large paddle shaped leaves up to 2.5m in length. 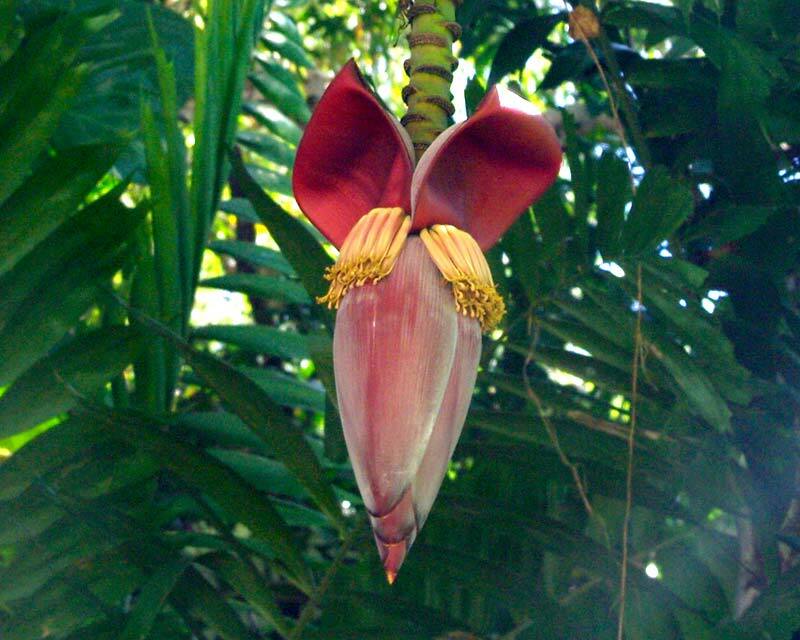 In cultivated bananas the flowerhead hangs down so the female flowers are above the male flowers are not fertilized. The fruit has no seeds. The time from planting to fruiting will depend on climate, in the tropics it will take about 9months but in Sydney it will take twice as long. 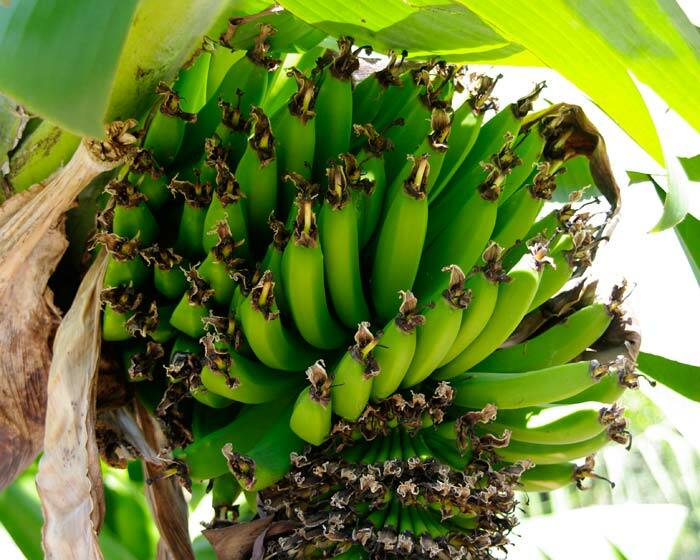 Birds, bats and various other animals love bananas so it is important to protect the bunches as they ripen. 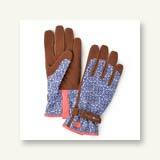 The bunches can be cut before they whilst still green and the fruit will continue to ripen. 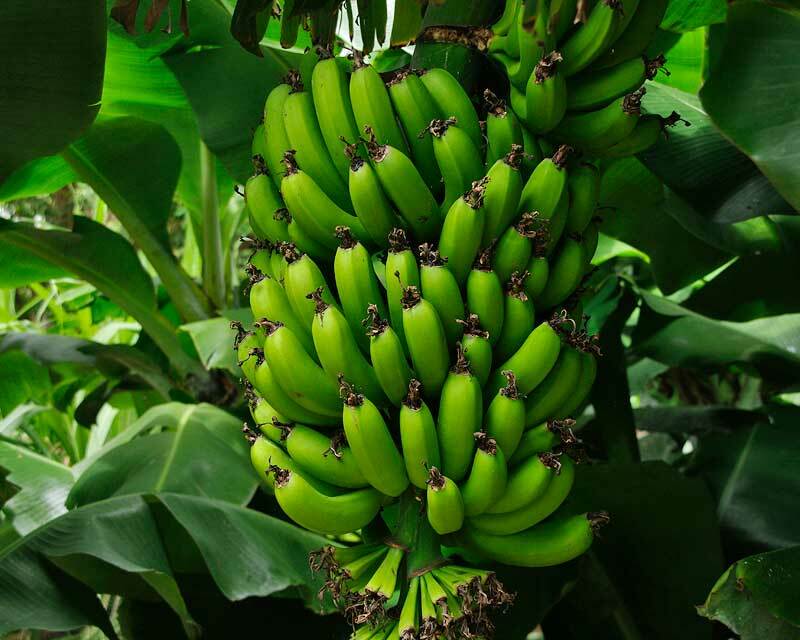 All bananas are cultivated from rhizomes, this means that all the plants are genetically identical and therefore more susceptible to viruses and disease. There are various viruses around the world including Bunchy Top Virus that is decimating banana crops. 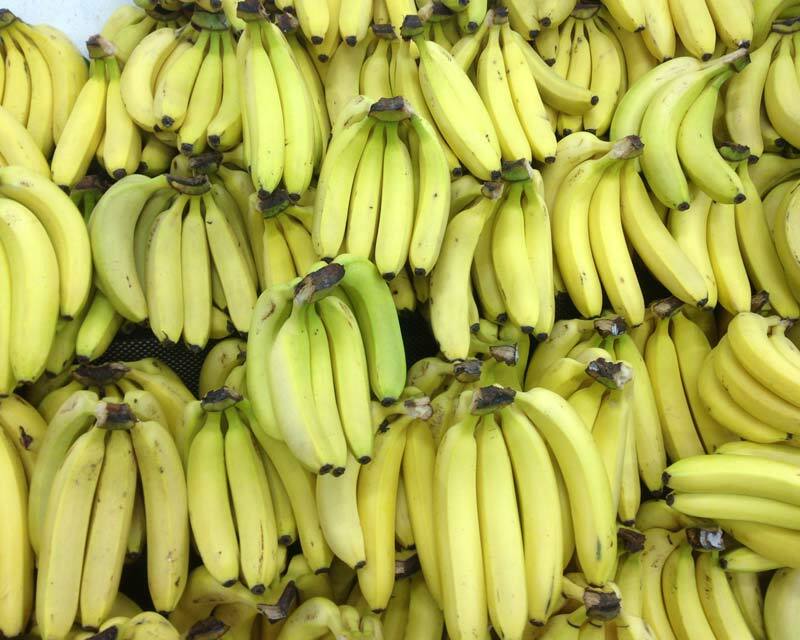 Here in Australia our bananas have not been affected but we need to remain vigilant and respect and obey the Australian Quarantine Laws to keep our crops disease free. Soil: Deep rich and moist soils - ensure adequate ptoection from wind. 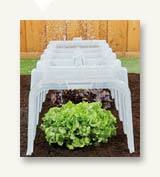 Maintenance: Applications of compost will maintain moisture and provide nutrients. Propogate by division. Diseases: Protect from possums, bats and birds stealing fruit. Other Species: Debateable due to thousands of hybrids being created over thousands of years. 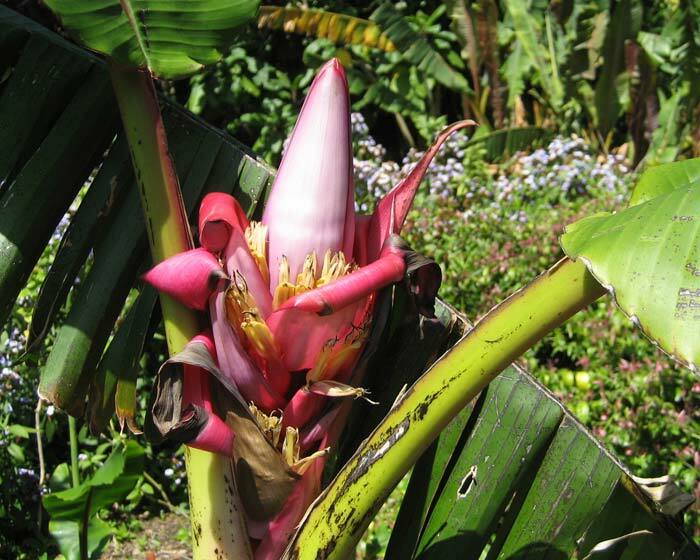 Cultivated species include Musa x paradisica or Ladies Fingers. 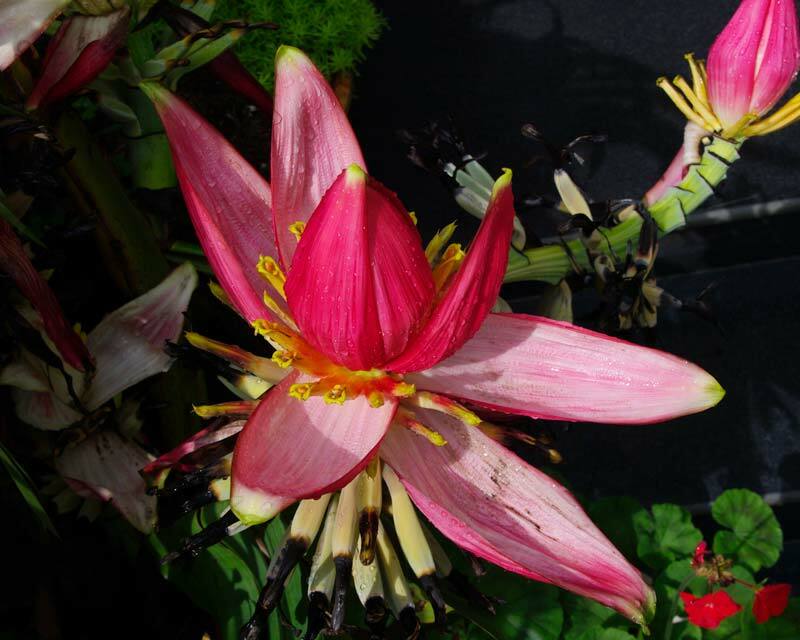 Comments: In the wild the flower spikes point upwards so the female flowers are fertilised and the fruit has seeds. Bananas have been feeding mankind for thousands of years - but Musa textillis is also the source of Manilla hemp. 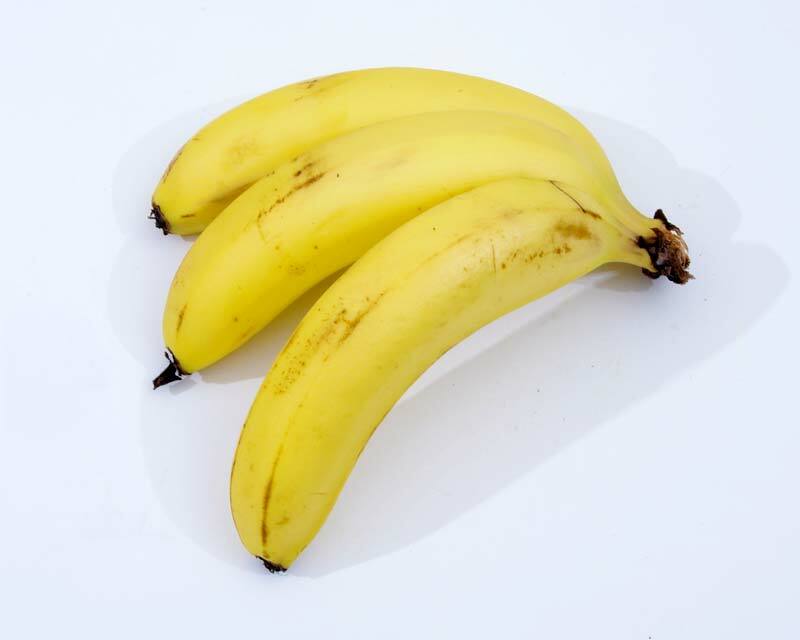 Bananas are rich in starch, sugars and fat and were prized by early explorers as a healthy food source. The plants in Sydney Botanic Gardens - pictured here - were brought by the first fleet from Rio De Janeiro, but due to the latitude did not produce the quality of fruit as good as their home location. Musa acuminata - or is it a muppet? Hmm, not sure.